Interested in a pressure cooker? 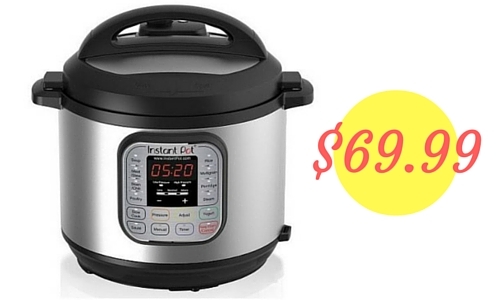 Well, here is a great Amazon deal for an Instant Pot for $69.99 shipped, regularly $119. This pot can reduce cooking time by up to 70%. What a great way to save time and money! This pot is not just a pressure cooker, it has 7 different uses. Prices on Amazon can change at anytime so grab this one while you can.